The tragic loss of 11 innocent lives in Pittsburgh’s Tree of Life synagogue on October 27 shook Jewish communities across the world. We’ve seen our Brothers come together on campus to honor those who passed and organize dozens of fundraisers to support the victims and their families. 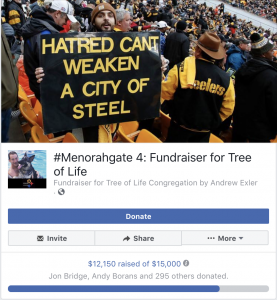 Brother Andrew Exler (Ohio, 2013) felt there was more to be done, so he established a fundraiser with eight of his closest friends to raise money for Tree of Life Synagogue. 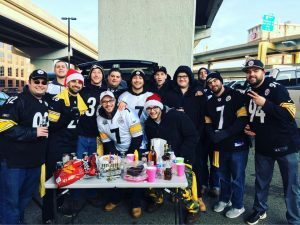 The fundraiser coincides with #MenorahGate, a tailgate event which was started in 2015 to celebrate Hanukkah annually at a Pittsburgh Steelers home game. Brother Exler and his friends decided that this year’s annual event was an opportunity to give back to a place that meant so much to all of them. 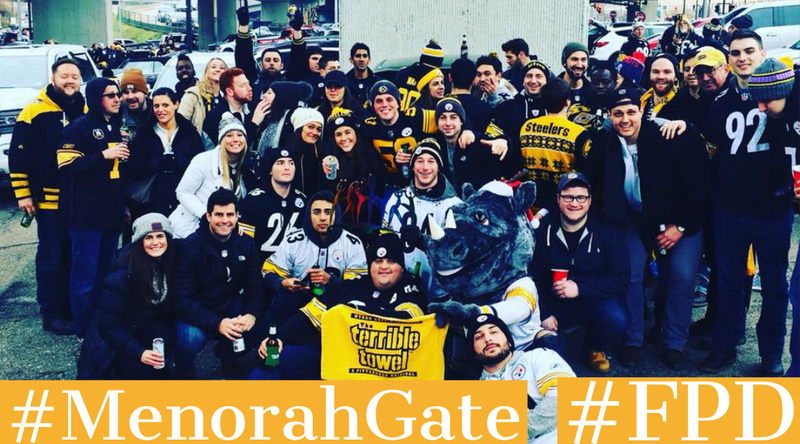 While many are mourning and trying to grasp what happened, he hopes #MenorahGate can bring some peace of mind while they enjoy time together as a community. 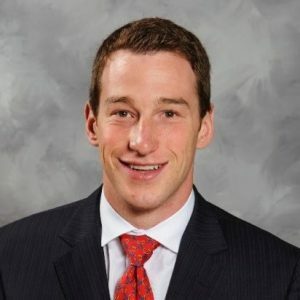 “I don’t know if what happened has hit me yet. I just want to comfort those that were affected and spread myself out as much as possible for those in need.” While this is something that can’t be fixed right away, he believes everyone’s reaction is important to healing. Remembering Bernice Simon, Sylvan Simon, Melvin Wax, Daniel Stein, Irving Younger, Rose Mallinger, Jerry Rabinowitz, Joyce Feinberg, Richard Gottfried, Cecil Rosenthal and David Rosenthal. May their memories be a blessing and may the Almighty comfort all of the families among the mourners of Zion and Jerusalem. Thank you to Brothers Andrew Exler (Ohio, 2013), Phil Gelman (Kent State, 2015) and Jesse Helfer (Kent State, 2013) as well as Ben Haber, Ethan Silverman, Zack Smith, Max Goldman, Adam Danenberg and Alan Oppenheim for their effort to honor the victims and help Tree of Life. Together we are #StrongerThanHate.